“Bummer that WOW Air is potentially going under – had a very flawless experience with them. But does this mean fewer tourists in Iceland?”, a disappointed passenger posted to twitter. Icelandic tourism professionals did not yet comment on the hopeless sounding situation of Wow Air. The airline was founded by an Icelandic entrepreneur, Skúli Mogensen. It first flew to Paris on 31 May 2012 and later that year took over an existing airline, Iceland Express. WOW Air based in Iceland is fighting for survival. On Sunday evening rival IcelandAir, the potential rescuer announced that Icelandair Group has decided that its possible involvement in WOW air’s operations, as announced on 20 March 2019, will not materialize. Therefore, all discussions between the parties have been canceled. Today Indigo Partners Will Not be Investing in WOW Air According to a recent statement made by the company, Indigo will not be negotiating further with WOW Air and instead will be opening talks with Icelandair Group. The 9:30am flight from London Gatwick to Reykjavik in Iceland was canceled this morning at short notice, with more flights canceled later in the day according to its website. Wow Air then issued its own statement saying: A majority of WOW air Bond Holders and other creditors of WOW air are in advance discussions with the aim of reaching an agreement on a voluntary restructuring including an agreement of converting current debt into equity and fund the company towards long term sustainability. Further information will be given tomorrow. Within hours, Wow Air started canceling flights – including the early morning trip from Reykjavik to Gatwick, due to leave at 6.20am on Monday. The return leg to the Icelandic capital, due to leave Gatwick at 9.30am, was also grounded. 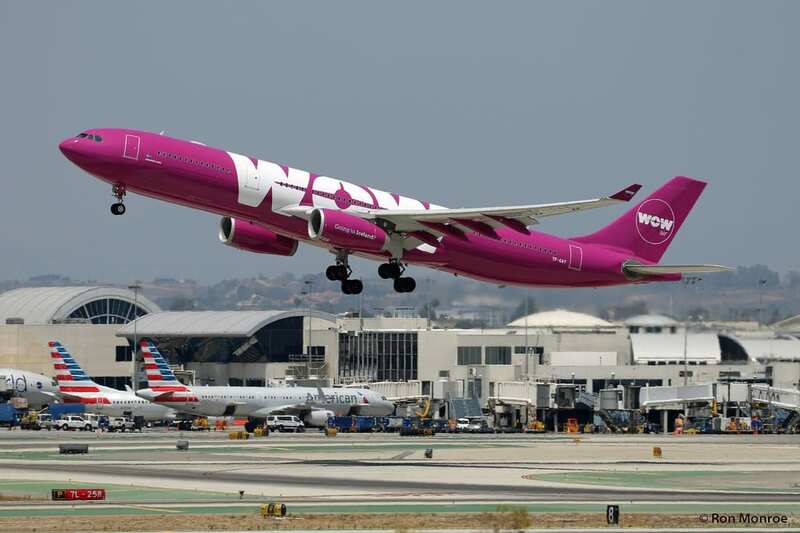 Wow Air has also canceled trips from Reykjavik to Chicago and Pittsburgh on Monday, with links to Brussels and Barcelona grounded on Tuesday.